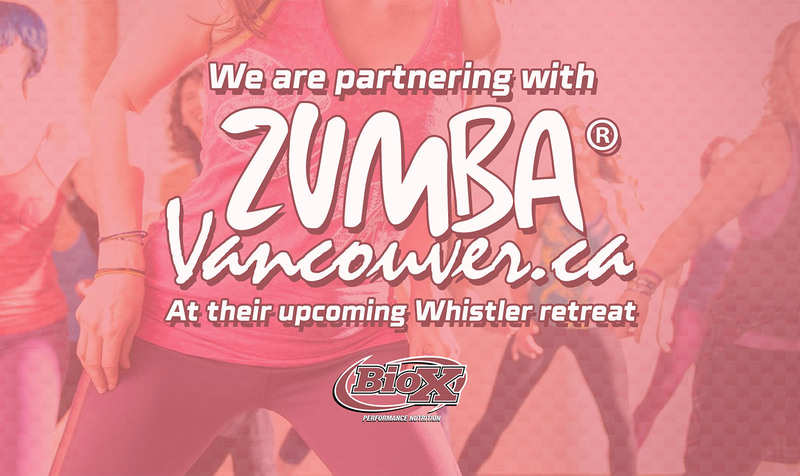 BioX is Partnering with Zumba Vancouver! Join us for a fun Retreat in Whistler . EARLY BIRD $125 plus tax – Includes Welcome Gathering, Zumba®, Specialty Rhythms Breakdown class, Aqua Zumba® and Final Zumba® Party with Nadi, Luglio, Denise and special guests. Book your accommodation by emailing info@zumbavancouver.ca or call 604 781 3437 to get your special group rate for the Zumba® Participants. The Hotel has a beautiful spa and fitness centre with yoga classes included. 2:00 – Specialty Classes breaking down the moves of Salsa, Bachata, Dancehall, reggaeton and more..
Evening – Final Zumba® Carnaval Party and Dance with Nadi, Luglio, Denise and special guests. To book your accommodation with the Four Seasons hotel -email info@zumbavancouver.ca or call 604 781 3437 to get our discounted group rate.